^ Thorburn, Frank (2010). "Thorburn-Macfie Family Society". thorburn-macfie.se. Retrieved 7 July 2014. ^ "World Cup 1958 finals". rsssf.com. 2010. Retrieved 7 July 2014. ^ "International Exchange". List of Affiliation Partners within Prefectures. Council of Local Authorities for International Relations (CLAIR). Archived from the original on 24 December 2015. Retrieved 21 November 2015. 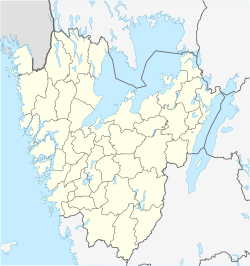 ^ "Uddevalla's Twin Cities Outside Nordic Countries" (PDF). Uddevalla kommun. 2014. Retrieved 7 July 2014. Wikimedia Commons has media related to Uddevalla. Wikivoyage has a travel guide for Uddevalla.